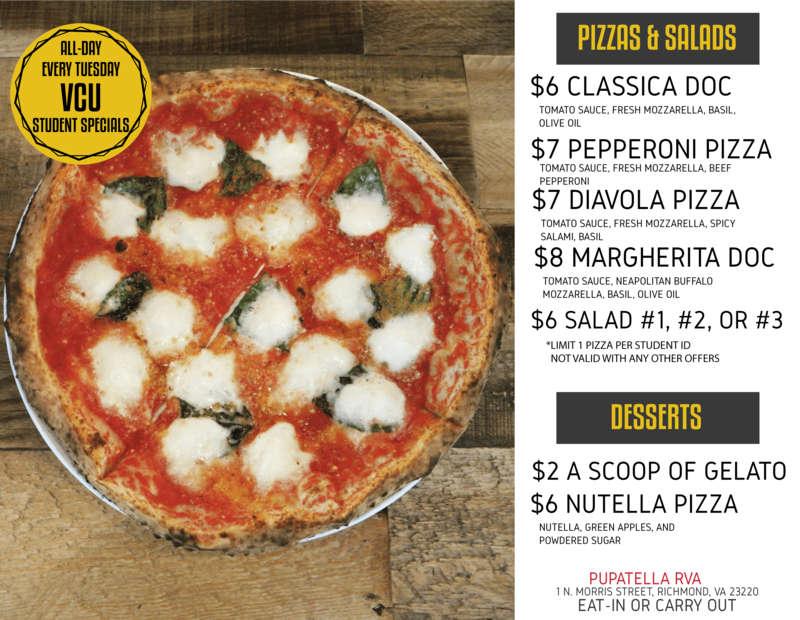 Pupatella has two location in the Richmond, VA area. Both locations offer different specials that are only valid at that specific location. Below is a list of our specials at each location. Happy Hour is Monday-Friday from 3pm-6pm and we offer $1 off all drinks and appetizers. *Specials cannot be combined with other offers. 1 per customer. Students get 10% off everyday with a valid student ID.